On May 10, 2016, CincyIP welcomes Jeremy R. Kriegel of Marshall, Gerstein & Borun, LLP in Chicago, to speak on procedures and strategies for Hague design filings. In May of 2015, the U.S. Patent & Trademark Office began accepting international design applications under the Hague Agreement. The Hague design system has several procedural peculiarities, but if one knows how to maneuver the system and understands the resources available, it can be a tremendously useful tool for economically obtaining protection for industrial designs. Design protection of graphical user interfaces is a recent and growing trend. Jeremy will discuss intricacies of Hague design filings for US applicants, and an overview of tips and considerations for graphical user interface design applications for those desiring protection in the US and abroad. Jeremy Kriegel is a partner and the Prosecution Practice Chair at Marshall, Gerstein & Borun, LLP in Chicago, where he joined in 2001. He received his B.S. (with distinction) in Mechanical Engineering, and Certificate in Management Studies from the University of Rochester in 1992. He received his J.D. from Washington University in St. Louis in 1995, where he was a member of the law review editorial board. Jeremy is admitted to practice in Michigan, Illinois, and before the U.S. Patent & Trademark Office. He prepares and prosecutes utility and design patent applications on consumer products and medical devices, and is a speaker and writer on topics including the America Invents Act, U.S. design patents, The Patent Law Treaty Implementation Act of 2012, and The Hague Agreement. Jeremy is also a contributor to his firm’s blog on post-grant patent practice, PTABWatch.com. 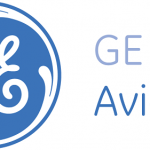 On June 21, 2016, CincyIP welcomes Robert Lawson, of GE Aviation, for a discussion on the export of technology and corresponding intellectual property considerations. Running afoul of export control laws is surprisingly easy. If an American inventor in his Cincinnati lab hands data related to a patent application to a visiting Chinese scientist, this may be an export of technology. Likewise, distributing or outsourcing information by email, surface mail, or the cloud to another country for patent application preparation purposes may be an export of technology. Many U.S. companies fail to realize that some commercial technologies are subject to the International Trafficking in Arms Regulations (ITAR) or the Export Administration Regulations (EAR) as defense technologies. Technical data and information in patent applications may intersect with ITAR or EAR. Violations of export control laws, even inadvertently, can result in stiff penalties and denial of export privileges, among other things. It is important for patent counsel to understand the intersection between patent and export controls to avoid any unintentional export violations. This program will provide an overview of export control laws and the challenges that patent owners face. Topics include when and where export control issues arise, licensing issues, and suggestions of best practices for compliance with export control laws. Robert Lawson is a 26 year veteran of GE Aviation, with degrees in Mechanical Engineering from Lehigh and Princeton Universities. He also holds a graduate degree in Mathematics from Miami University. During his 20 year technical career, Rob became involved in technology export controls, and transitioned to the legal organization in 2010, where he now leads International Trade Compliance for GE Aviation as part of a larger GE Corporate Compliance team. In his role, Rob supports export regulatory reform efforts with the US Government, export classification in the US and EU, as well as export licensing and internal compliance activities.